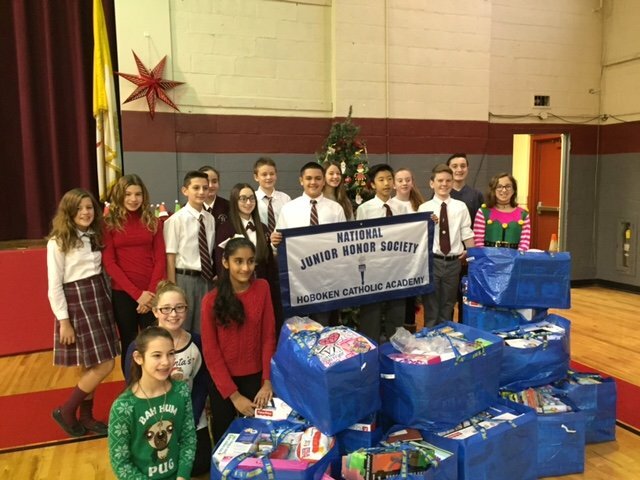 The members of the National Junior Honor Society at Hoboken Catholic ran a toy drive recently. Some toys were delivered to The Joseph M. Sanzari Children’s Hospital at Hackensack University Medical Center. The HCA families donated 15 large bags of toys. The NJHS officers are: President, Aramchan Lee, Vice President, Quincy Flett, Secretary, Nicole Vi, Treasurer, Benny Love.